The European Bioinformatics Institute (EMBL-EBI) and The Jackson Laboratory (JAX) have jointly developed the first open cancer research portal for Patient Derived Xenograft (PDX) models. The freely available PDX Finder is hosted by EMBL-EBI and catalogues PDX models from numerous global repositories. The PDX Finder web portal offers significant potential for collaborative research, as well as time savings for researchers, who now only have to search one central catalogue instead of going through a range of individual and distributed resources. Researchers create PDX mouse models by implanting tumour fragments from cancer patients into mice with suppressed immune function. By using these models, researchers can get a better idea of how a specific patient would react to a specific drug. "Preclinical models such as PDX models are very important predictors of the efficacy of anticancer therapies, which currently have a high failure rate in clinical trials," says Nathalie Conte, PDX Finder Project Lead at EMBL-EBI. "Cancer models are essential for understanding and treating cancer. PDX models are increasingly recognised as clinically relevant because they retain the patient tumour characteristics and imitate a specific patient's response to drugs more accurately than other models. However, until now, there was no open central catalogue for PDX models. 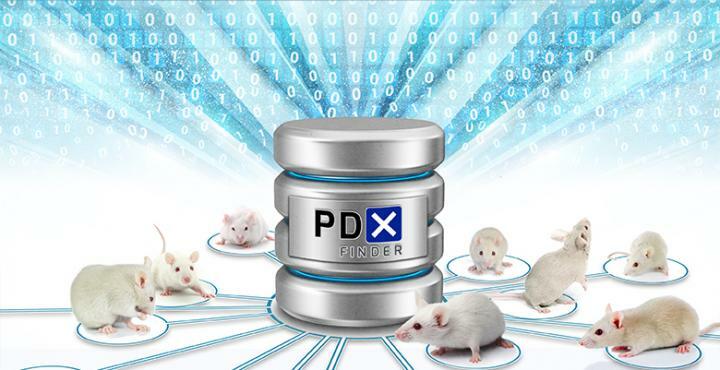 PDX Finder enables cancer researchers to search through a wider variety of models more quickly, saving valuable time and enabling collaborations." As the use of PDX models increases, so does the need to easily find relevant models that are distributed by different organisations around the world. PDX Finder joins together many of these individual efforts, as it builds on The Jackson Laboratory's PDX resource which was developed in partnership with more than 20 medical centres in the United States, and EMBL-EBI's membership of EurOPDX. This ensures that the scope and reach of PDX Finder is wider than any other individual resource available. "Both EMBL-EBI and JAX received independent funding from the National Cancer Institute for projects that included implementation of online catalogues for PDX models," noted Carol Bult, Scientific Director of the JAX PDX Resource. "Both groups had the goal to help basic and clinical cancer researchers find relevant models fast. With approval from the NCI, we instead collaborated to build a single, unified portal with international scope." Researchers can search for PDX models and submit their own on the PDX Finder website: http://www.pdxfinder.org.